If you have a flat tire while driving, just be sure to move your vehicle to a safe place and call us. Let us know whether you have a spare tire or not; either way, we'll be there to help. If you get up one morning and your vehicle won't start, don’t panic! Just give us a call. Locked yourself out of your vehicle? It's ok, we'll be right over to get you back in and on your way. So you thought you had enough gas to get to the gas station, not to worry, we've all made that mistake at some time. We're available to help you when you run out of gas, so give us a call and we will be right there; day or night. When your vehicle is stuck off road, make sure you call a pro. We will be where you are within minutes, and we will safely get your vehicle back on the road. Having repeated issues with unauthorized parking on your property? TLC Mobile Services offers parking enforcement services. We can add you to our regular routes throughout Junction City and remove any unauthorized vehicles. 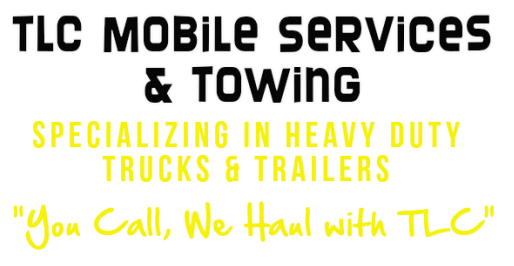 If you have been in an accident and need your vehicle towed, either to a garage or a salvage yard, give us a call. We offer 24/7 emergency service, so we will have someone en route to you right away, no matter when you need us. TLC Mobile Services is able to offer the long distance transportation of vehicles. to remove that vehicle from your property. We provide full electronic diagnostic services for our customers. We have received certified training and we are continually adding to those certifications and receiving the latest engine training available. Our diagnostic software is mostly laptop-based and we routinely update with the latest, most comprehensive version to provide the best service for our customers. The information within this site is for information purposes only and does not constitute a legal contract between TLC Mobile Services, LLC and any person or entity unless otherwise specified. We have the right to change/update this information at any time without prior notice. We have made every effort to provide up-to-date and accurate information, however, we, TLC Mobile Services, LLC do not make guarantees in any way whatsoever.